Best Buy! 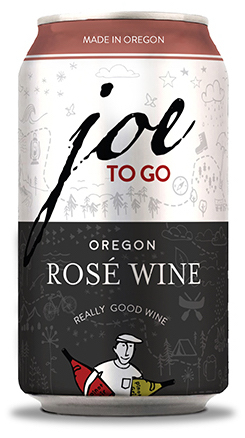 The market for canned wine has exploded in the past two years, and the company Joe Dobbes inspired – Wine by Joe – continues to grow into this space with its Joe to Go brand. Pinot Noir and Pinot Gris both play roles in this brisk and refreshing rosé that is surprisingly bone-dry in its approach and Provence in its appearance with seemingly very little skin contact for color extraction. Aromas of strawberry shortcake, white peach and tangerine lead to mouthwatering flavors of pink raspberry and strawberry-rhubarb compote. The price is for two 375-milliter cans, which sell for $6.99 a piece, and thanks to its partnership with Delicato Family Wines, Joe to Go is available in more than 30 states.